We write about what we love: Clairefontaine, Rhodia, Fountain Pens, Games and more! 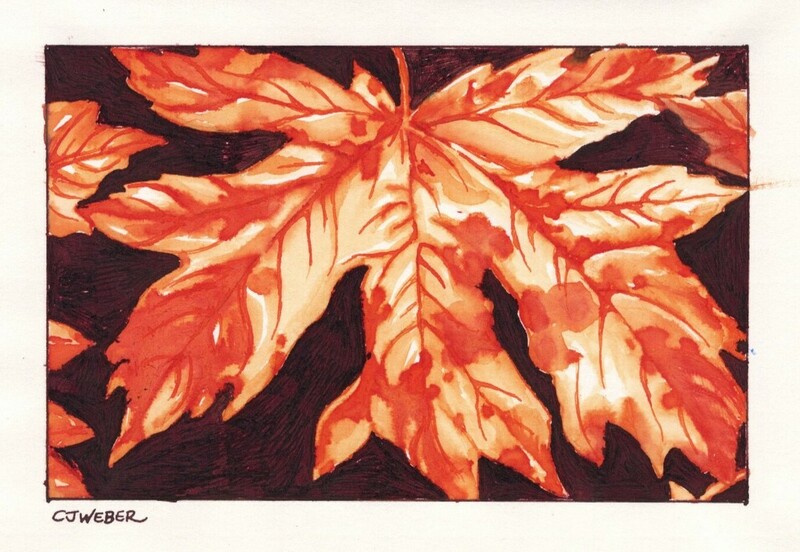 Mandarin Pelikan Edelstein fountain pen ink is a well-balanced orange color, perfect for sketching autumn leaves. This ink is not water-resistant, and when I applied water with a paint brush it became a peachy-orange. 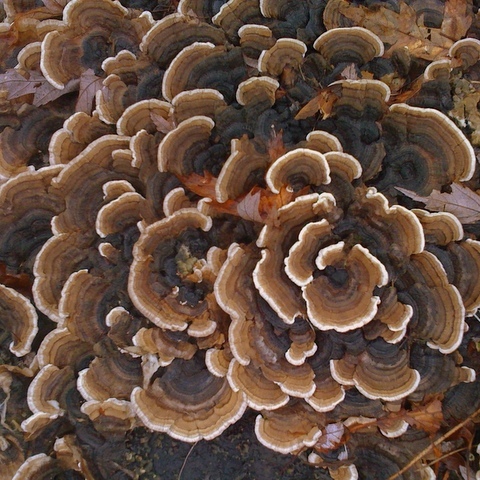 When the ink is heavily applied it has the appearance of a dark orange, almost red. When I use this ink in a fountain pen for handwriting, it’s a fairly consistent orange, without a lot of shading to it. I used J. Herbin’s Terre de Feu fountain pen ink for the background contrast. Upon first glance Terre de Feu looks like a chocolate brown, with a closer inspection I can see that it has a reddish undertone to it. 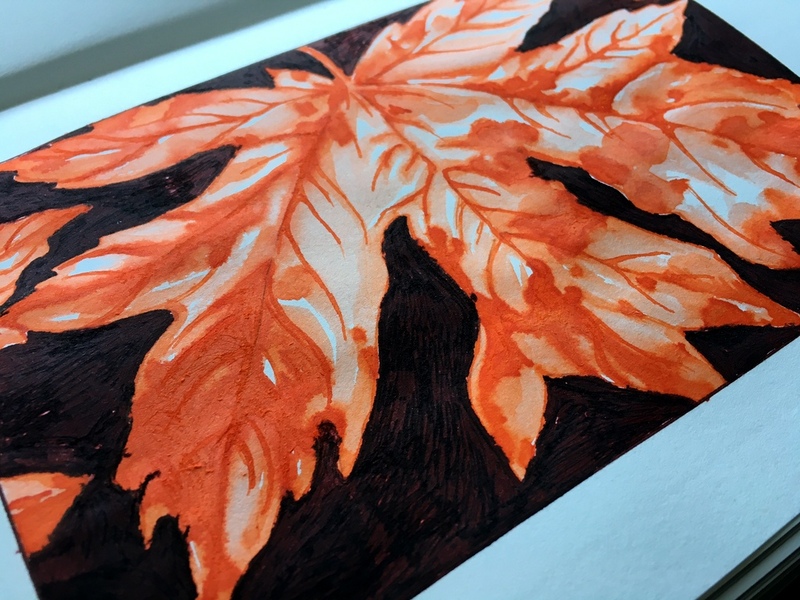 I chose an on off-white/ivory 100g Exacompta paper to complement the warm autumn ink colors. It was interesting to create this sketch using a glass pen. At times it was a little bit difficult to control the ink flow. Sometimes where would be too much ink and sometimes too little. I really enjoy the freedom of using a glass pen – it’s extremely easy to clean, easy to write with and rather fun to keep dipping it into your ink bottles as you run out of ink. When the paper was wet with a lot of ink, it did scratch the paper a bit which you can see if you look closely at the photo below. 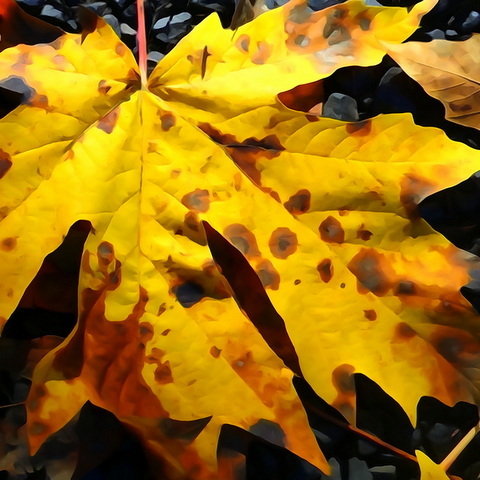 What are your favorite fall shades of fountain pen ink? 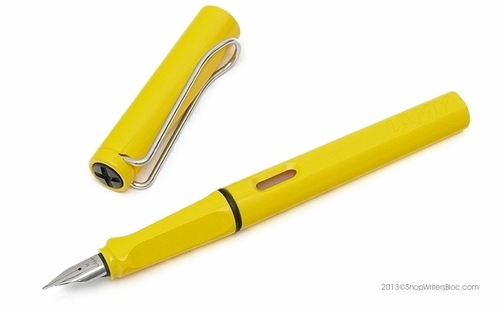 Yellow & Gold: One of my favorite everyday writing tools is the LAMY Safari fountain pen which is available in a cheery bright yellow that reminds me of the autumn color of some maple or birch tree leaves. 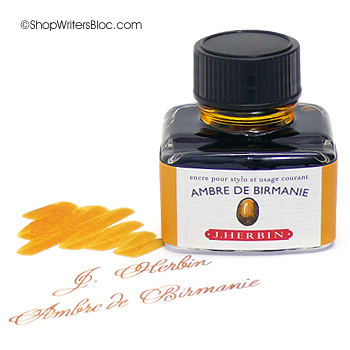 Yellow ink is not practical for regular handwriting writing, so I like to use a golden amber shade such as J. Herbin Ambre de Birmanie fountain pen ink. If you’re new to fountain pens, and you’re going to use bottled ink in your LAMY Safari or Al-Star pen, you’ll need to get a LAMY Z24 ink converter. 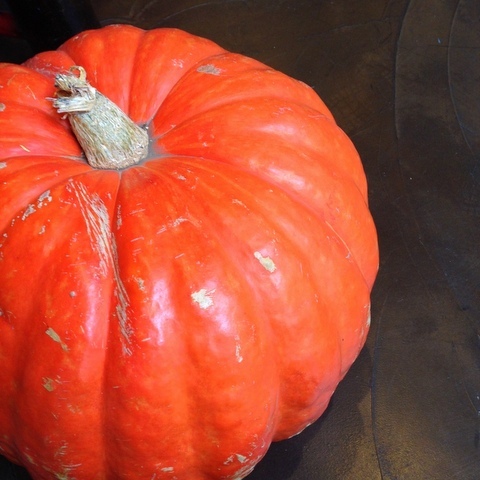 Orange: I love seeing all of the colorful autumn squash in the supermarket this time of year. 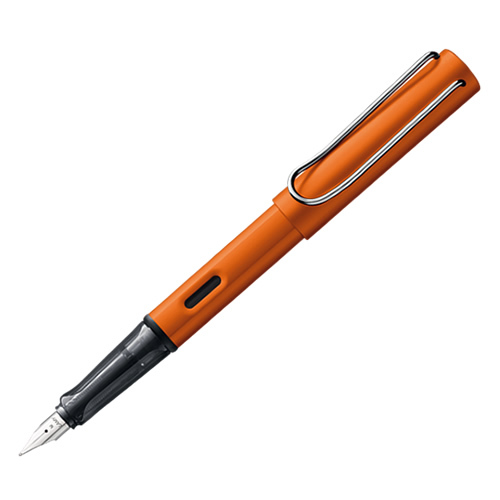 The star of this fall’s orange fountain pens is the limited edition copper-orange LAMY Al-Star pen. This relative of the LAMY Safari fountain pen is made from light-weight aluminum with a metallic finish. LAMY created special copper-orange ink cartridges just to match this fountain pen. 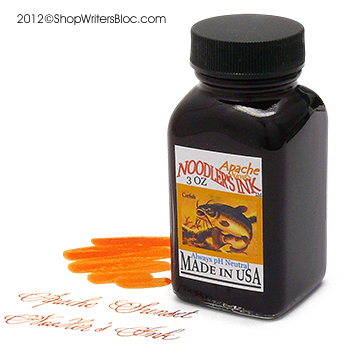 A couple of my favorite orange bottled inks with nice shading are Noodler’s Apache Sunset and Noodler’s Habanero ink. 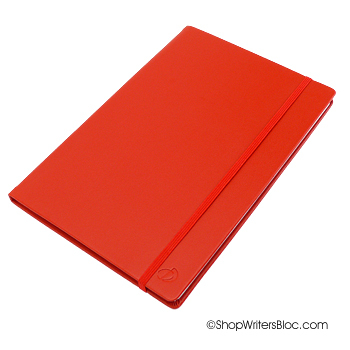 Want a paper notebook with an orange cover? 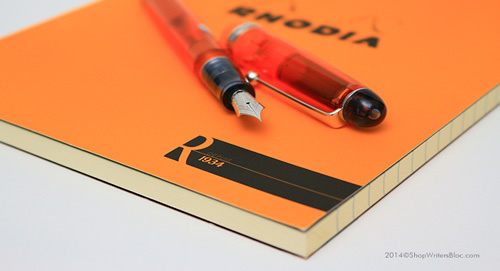 Go no further than Rhodia‘s famous orange notepads available in all sorts of styles and sizes with fountain pen friendly paper. 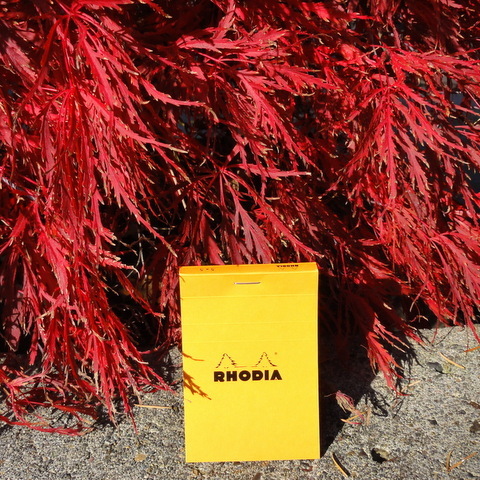 Red & Maroon: Doesn’t this orange Rhodia notepad look stylish next to these red Japanese maple leaves? 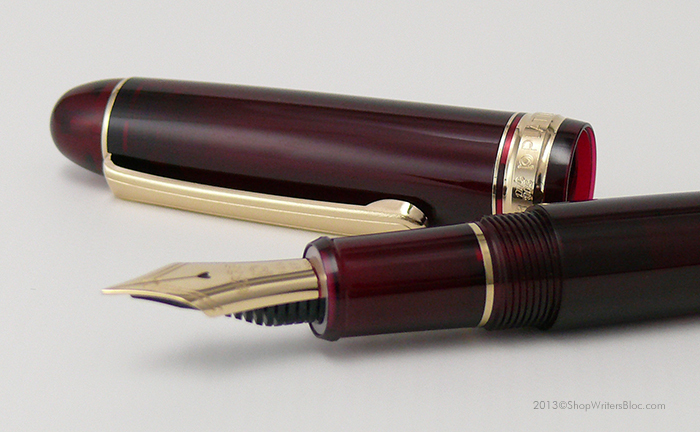 The color of these leaves makes me think of the deep burgundy red color of the clear resin Bourgogne Platinum 3776 Century Fountain Pen. 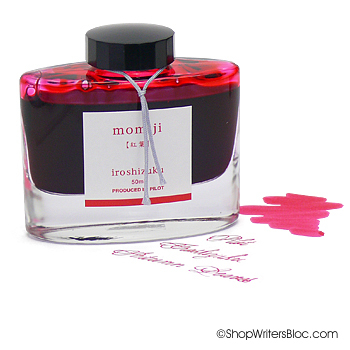 Pilot Iroshizuku Fountain Pen Ink in Momiji or Autumn Leaves is a red shade emulating the bright red leaves that are iconic of a Japanese autumn landscape. The ivory paper inside the red Quo Vadis Habana Journal complements the warm, autumn shades of ink that I use this time of year. 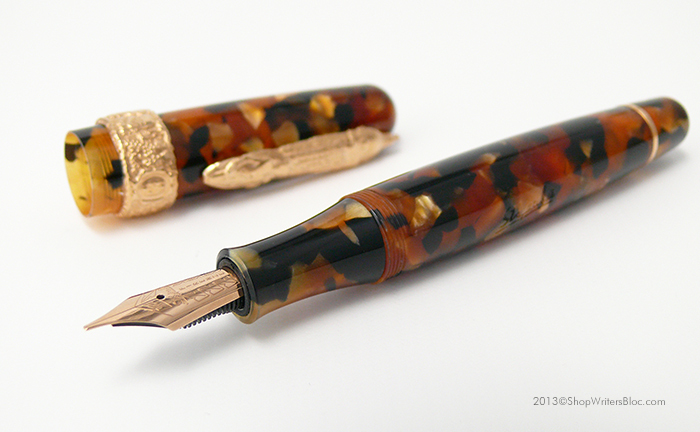 Brown: I absolutely adore anything in tortoiseshell, and the Stipula Tuscany Dreams Peposo Fountain Pen in Brown Tortoiseshell is no exception! It’s a pity that this manly pen is too large for my small hands. 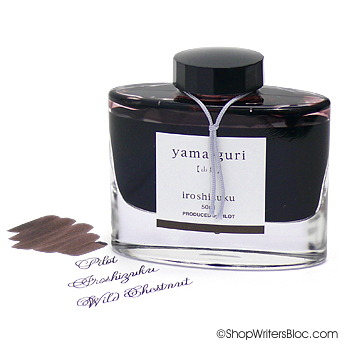 This pen pairs well with J. Herbin Lie de The Ink Cartridges or Pilot Iroshizuku Wild Chestnut ink which is a brown color similar to the shade of a ripe, fallen chestnut shell during autumn. Aston Leather’s pen cases in golden caramel Tan or dark Brown are going to look great with and provide protection for any of your fall writing instruments. What are your favorite stationery items for fall? January 2016 Update: Noodler’s Ink glass bottles will be back soon. Once the plastic bottles are all used up the glass bottles will return. Great news! Noodler’s Ink has just started to use a new container for some of their fountain pen inks. Instead of a square clear 3 oz glass bottle, new batches of ink will be contained in a round white plastic bottle that holds slightly more ink. Why the change? For now, glass bottle manufacturers have discontinued producing the traditional 3 oz glass bottle. 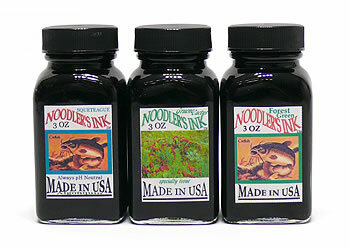 Noodler’s Ink was given the choice to switch to a smaller size of glass bottle and to raise their prices, but instead they have chosen to use a plastic bottle. It is unknown as to how long the plastic bottle will be used. They are hoping to switch back to the 3 oz glass bottles in the future. The glass bottles used for the 4.5 oz and 1 oz sizes of ink will remain unchanged. We agree with Noodler’s Ink that what is contained in the bottles is more important than the bottle itself, and we trust that they will continue to provide us with a wide variety of fantastic fountain pen inks! If you’d like to hear the story in more detail, you can watch Nathan’s 10 minute video below about the new bottles. 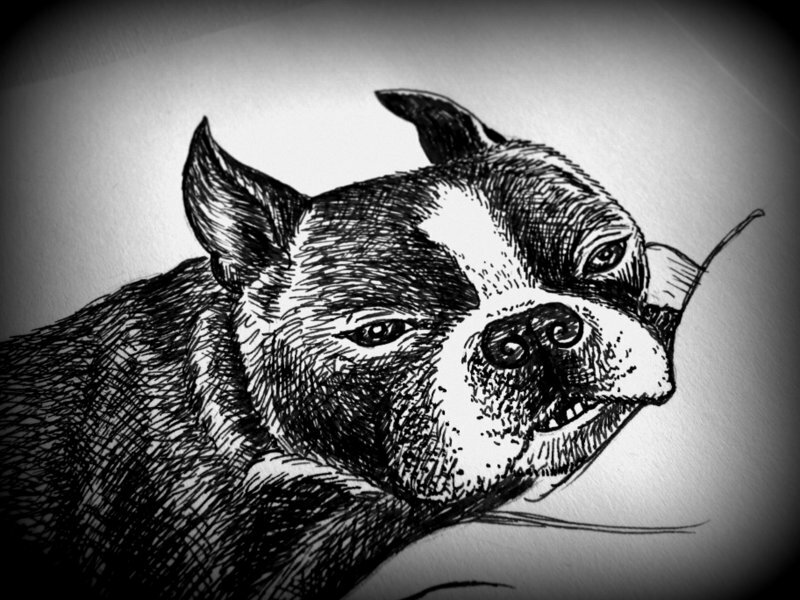 If you’ve ever sketched with fountain pen ink perhaps you’ve had the same experience I’ve had – you’re almost done with your creation and then you accidentally smear an area of the sketch that’s not quite dry yet. Doh! 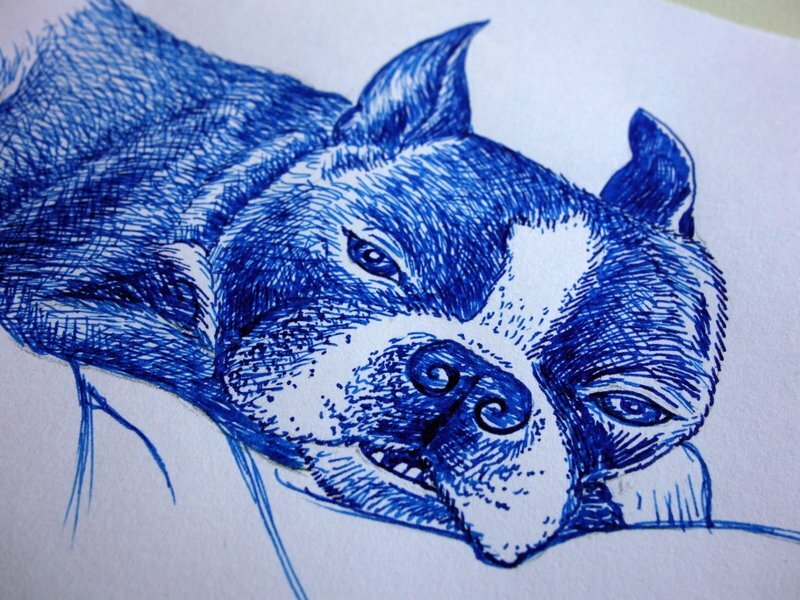 I’ve been wanting to try Noodler’s Bernanke Blue fountain pen ink for drawing to see if this fast-drying ink would improve my odds of avoiding any smearing. My first experiment was a success! During the entire sketching process not a line was smeared anywhere in the drawing. 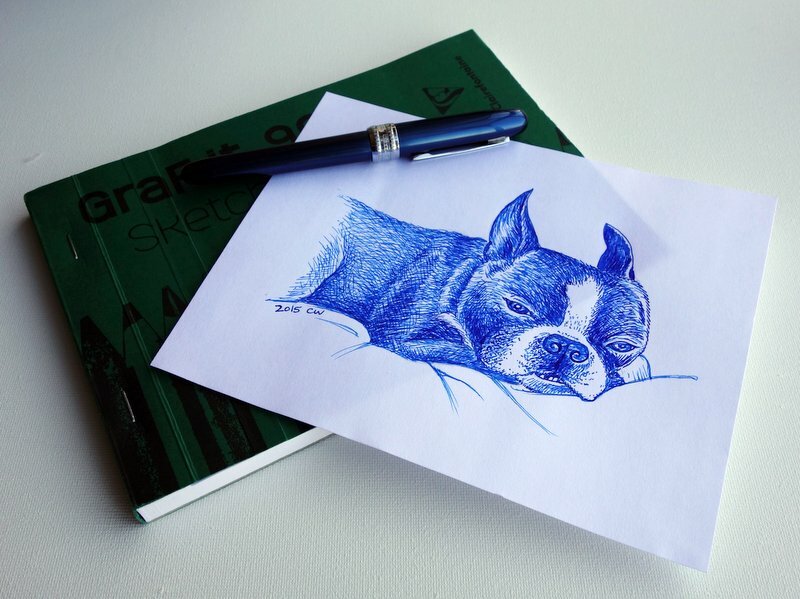 Noodler’s Bernanke inks are formulated with left-handed writers in mind. 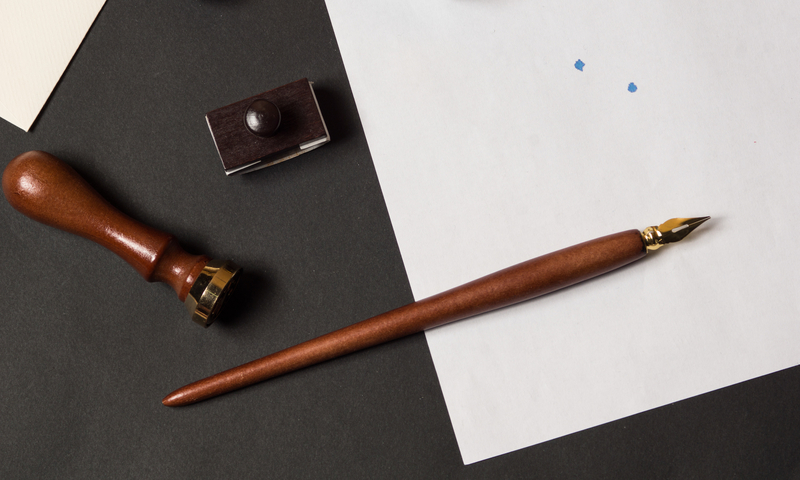 This ink is smear resistant even when writing over the words (or a drawing) with your hand. In addition to Blue, Noodler’s Bernanke Ink is also available in Black. It is not water resistant, so if you want ink that stays put when you paint watercolors over it, this would not be it. For general sketching purposes it worked great! 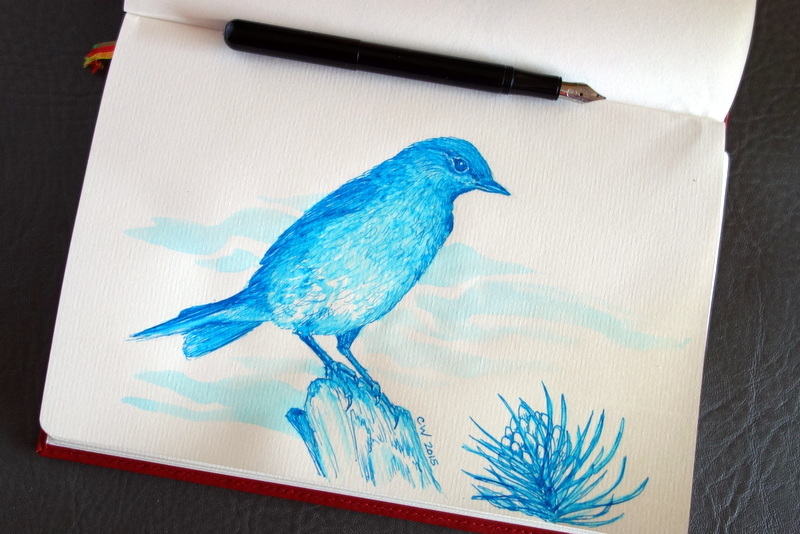 J. Herbin’s Bleu Pervenche fountain pen ink is a bright summery turquoise blue color. 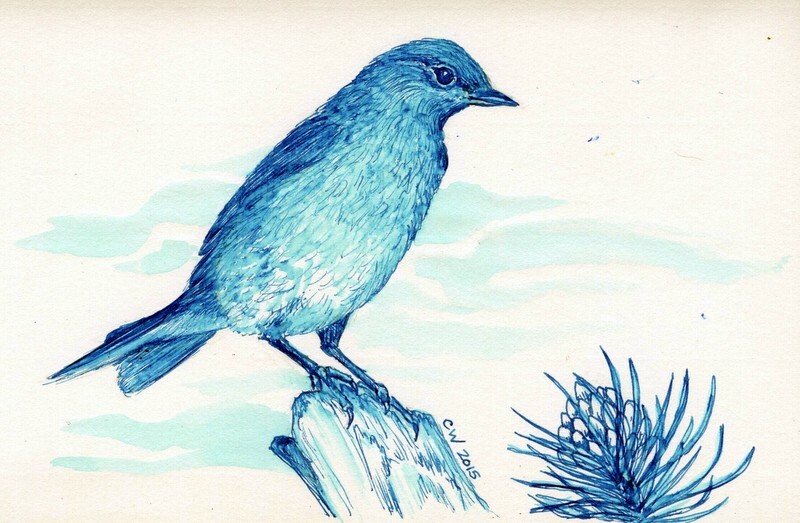 It makes me think of the mountain bluebirds I used to enjoy seeing when I worked in the hills just outside of Portland, Oregon. 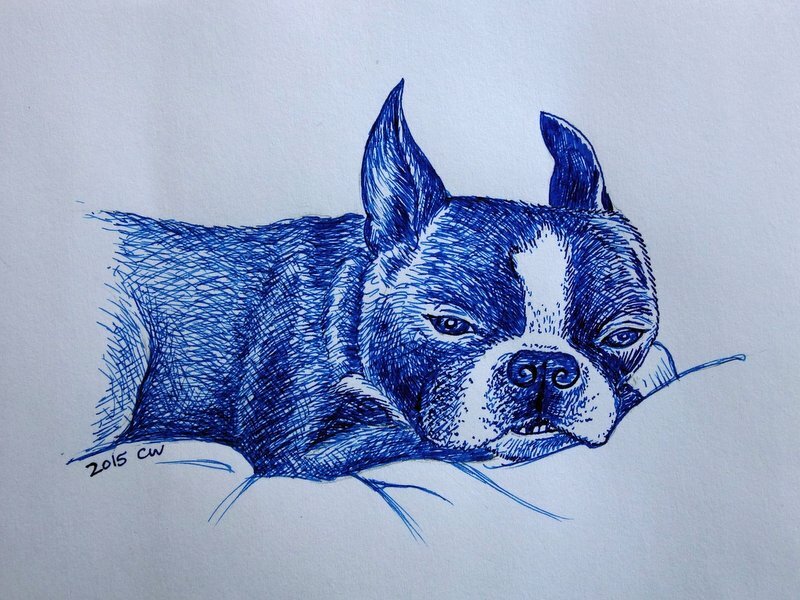 This drawing was created with Bleu Pervenche ink using a Kaweco Liliput fountain pen (fine nib) on Exacompta 100g paper. J. Herbin’s Bleu Pervenche fountain pen ink can be found in both 30ml bottles and standard international cartridges at Writer’s Bloc. Kaweco Liliput pocket-size fountain pens are also available with black or silver finish. 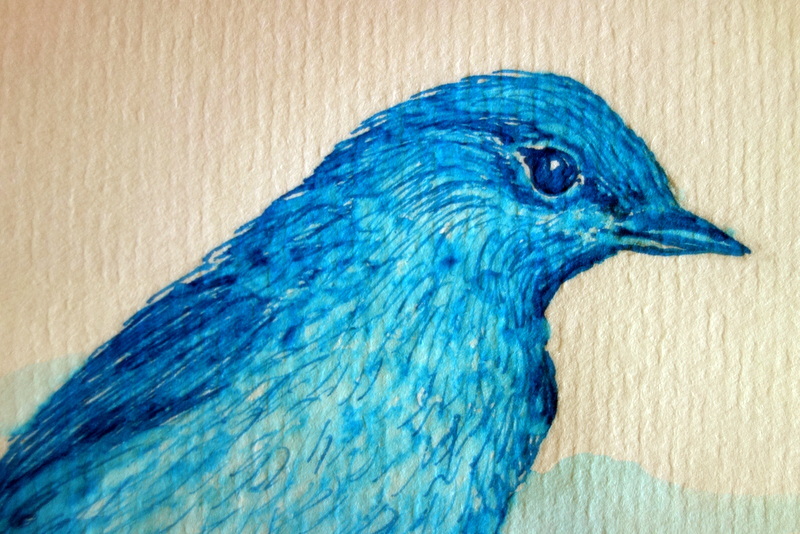 The Mountain Bluebird photo was found on wikipedia.org and it is credited to Elaine R. Wilson (source Nature’s Pics Online). 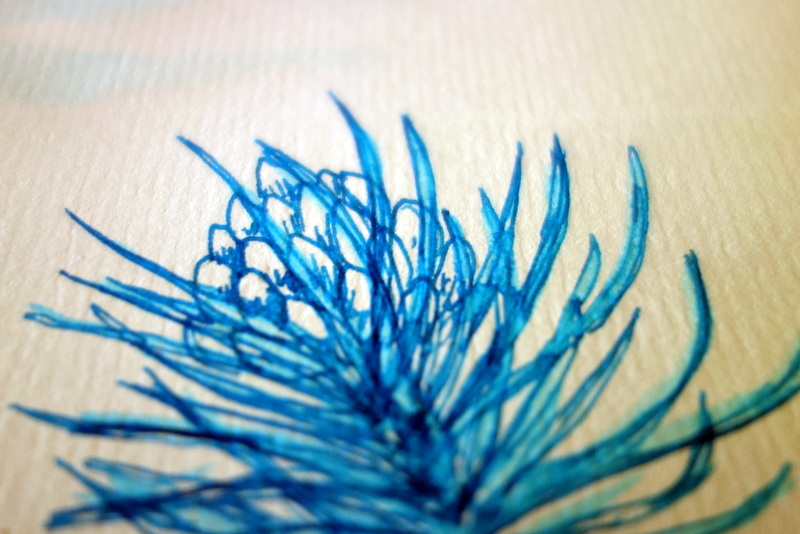 What’s your favorite summer blue fountain pen ink and what memories does it bring to your mind?